HP may be cranking out one last batch of TouchPads, but it isn't reconsidering getting out of the tablet business. More TouchPads are on the way! Don't get all excited, though, and jump to any crazy conclusions about HP resurrecting the TouchPad. HP issued a statement today explaining the current outlook for TouchPad tablets. A post on HP's TheNextBench blog explains, "Despite announcing an end to manufacturing webOS hardware, we have decided to produce one last run of TouchPads to meet unfulfilled demand." The announcement has led many to speculate that perhaps HP is having second thoughts about killing the TouchPad, and that it might get back into the tablet business after all. But, the TouchPad is not coming back--at least not from HP. The decision to crank out the last few tablets is probably much more pragmatic than that. A report from DigiTimes Systems claims upstream suppliers are not happy about getting stuck with TouchPad component inventory. The story cites HP sources stating, "The suppliers are currently in negotiation with HP to find a solution for the component inventory, while HP Taiwan pointed out will maintain its promise to the partners." I imagine some executive level meetings looking at numbers related to the TouchPad, and someone pointing out that the company is already on the hook for cases, laptop displays, and other components. It seems to me that the decision to produce one more round of TouchPad tablets is because HP knows there is demand for the tablet at the $99 fire sale price, and it just makes more sense than taking a loss on unused tablet components. We can debate whether the death of the TouchPad was a homicide--a cold, calculated business decision to abandon the hardware business regardless of the success or failure of the tablet, or an assisted-suicide--a merciful end to a tablet that never really had a chance to compete against rival runner-ups, never mind going head to head with the Apple iPad. Regardless of that debate, though, the TouchPad is still dead. HP trying to jump back into the tablet business would be like Ross Perot trying to jump back into the 1992 Presidential election. Once you surrender once, you lose whatever momentum you have, and entering the fray again is met with skepticism and ridicule. 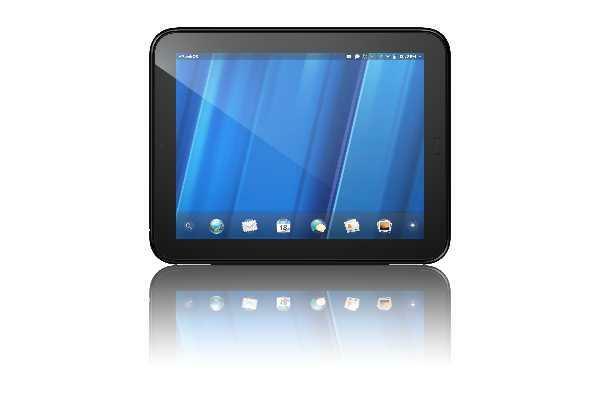 The HP TouchPad wasn't selling well in the first place. It wasn't bad enough to warrant pulling the plug so abruptly and prematurely, but HP can't continue selling tablets at $99 indefinitely, and there is no reason to believe that the TouchPad will fare any better at $399 next month than it did last month. That said, when the new batch of TouchPads hits the street, I will still do my best to get my hands on one. I have an iPad and an iPad 2, and I was never really interested in the TouchPad, but for $99 it is too good to pass up.